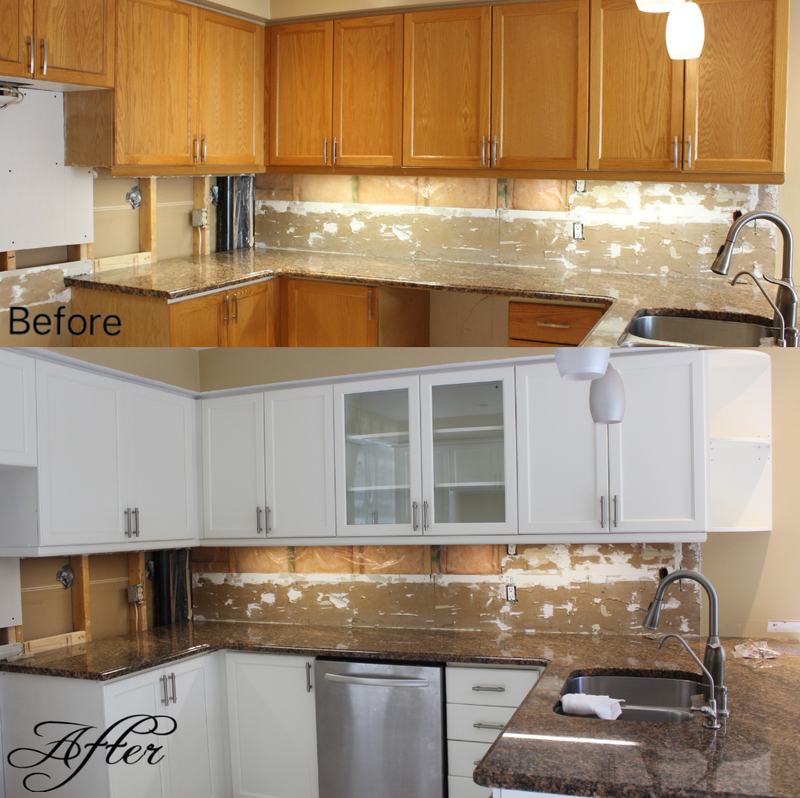 Kitchen Cabinet Refinishing: The affordable kitchen renovation process offered by Masters Wood Finishing. Giving your kitchen the new and modern look for a fraction of the cost of getting it re-done. 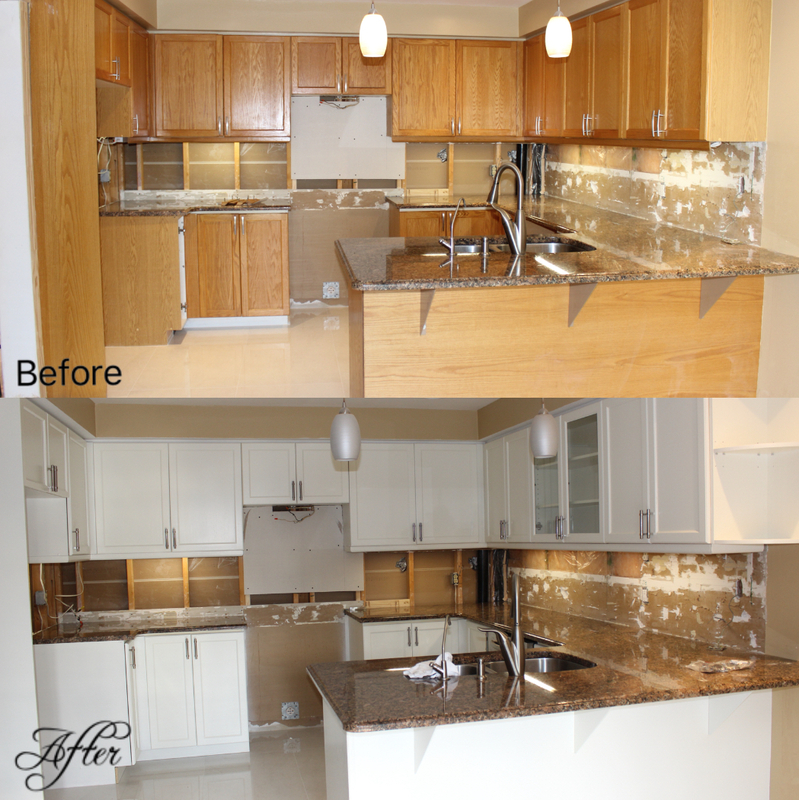 This oak kitchen was looking outdated and dull. The home-owners were looking for a transformation at an affordable/convenient price while knowing that they were still getting quality. So our team at Masters Wood Finishing went over a series of steps and changed this kitchen from an outdated stain-grade colour to a refreshing high quality (low VOC) cloud-white finish. We also, • Changed the handles to a modern brush nickel pull design, • Changed two of the cabinet doors to having transparent glass centre panels, and • We built a curved corner shelving unit. All for a fraction of the price of a new kitchen.